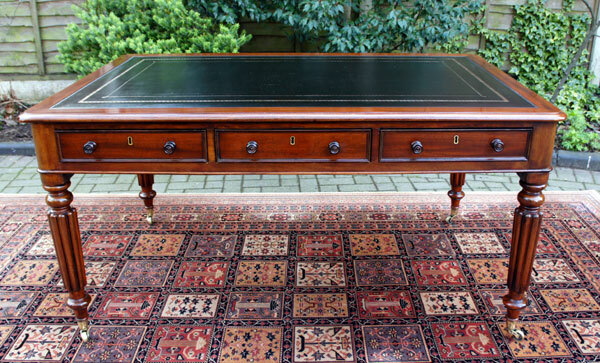 This well proportioned English antique partners writing table or library table has three drawers to either side of the top. 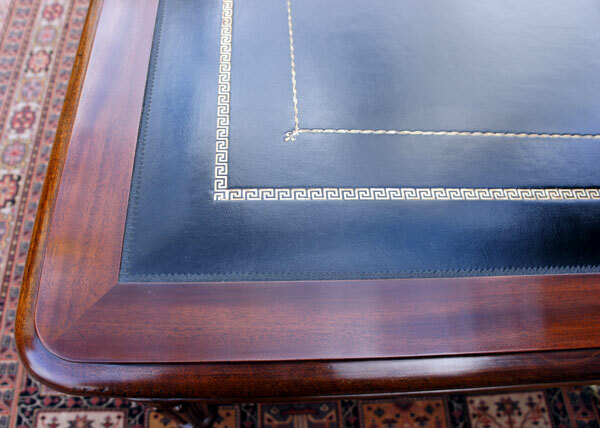 It has recently been fitted with a new black hide writing surface with gilt and blind tooling. 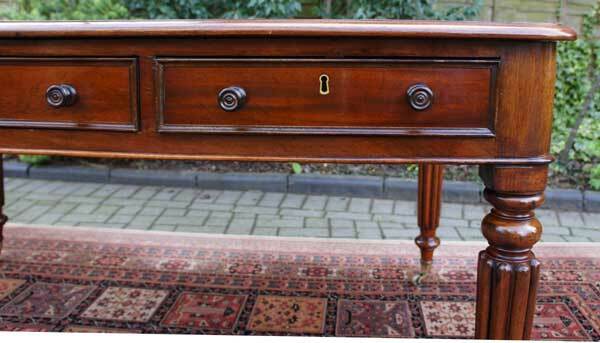 This is surrounded by a band of figured mahogany with a "bulls nose" edge and rounded corners. All six drawers are oak lined with brass locks, "ogee moulding" to the front edges and turned wooden knobs. 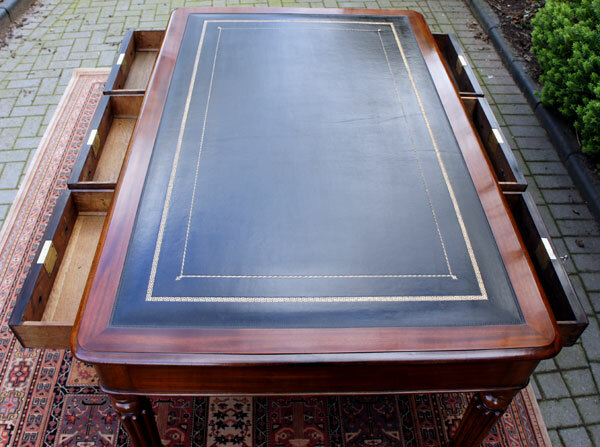 This well proportioned English antique partners writing table or library table has three drawers to either side of the top. 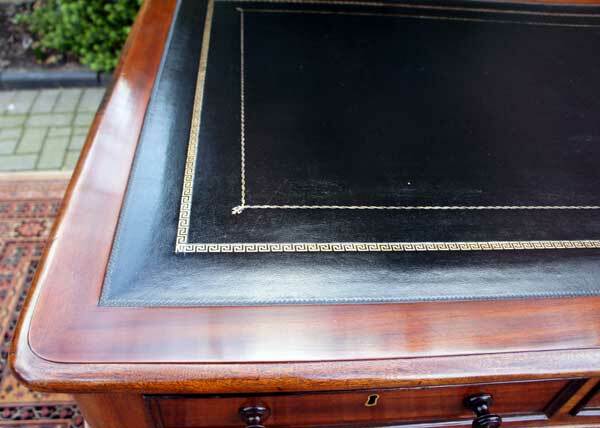 It has recently been fitted with a new black hide writing surface with gilt and blind tooling. 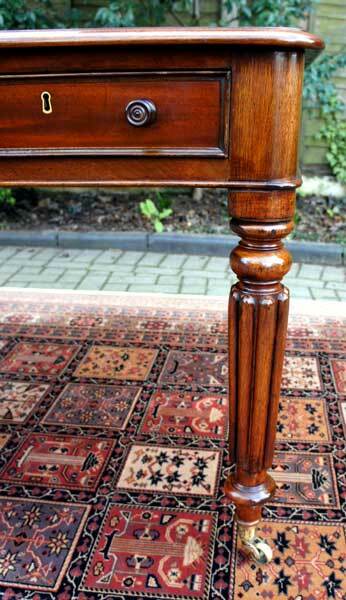 This is surrounded by a band of figured mahogany with a "bulls nose" edge and rounded corners. All six drawers are oak lined with brass locks, "ogee moulding" to the front edges and turned wooden knobs. 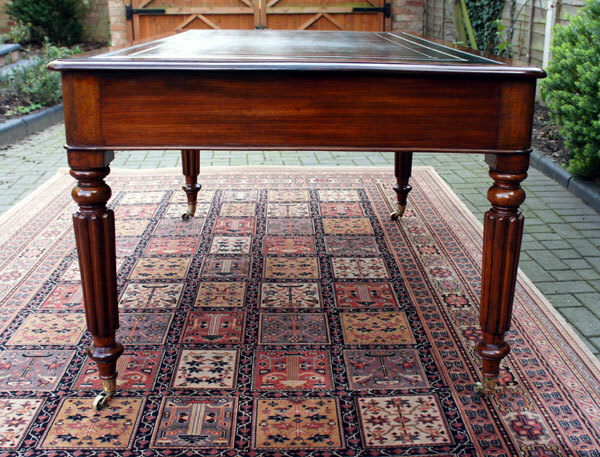 The table stands on four well turned and reeded legs with the original brass castors. This English antique partners library table is a very good size with a lovely deep colour to the wood and a beautiful sheen. It would be a stunning centre piece for any office, library or study.